We have been serving our customers for almost 100 years. F.B. 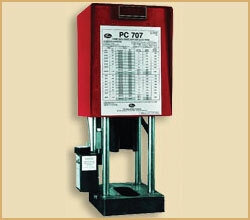 Harris Corp. is the largest Full-Line Gates Corp. distributor in New England. We offer: Industrial and Hydraulic hose fittings, pneumatic tubing and fittings, v-belts and sheaves, timing belts and pulleys, roller chain and sprockets, bearings and seals, maintenance supplies, and MORE. 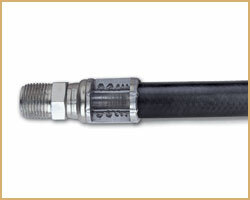 Hydraulic Hose Assemblies Made While You Wait. In House Facilities for Repair and Alteration of Machine Parts. Prompt Delivery and Reliable, Technical Service Combine to Eliminate Expensive Down Time. Please Call Us With Your Inquiries on These and Many Other Products. Call us at 800-800-8979 to fulfill your needs for Hydraulic Hose, Industrial Hose, Hose Fittings, V Belt Sheaves, Hose Connectors, Fittings and Adapters, Bearings, Timing Belts, V Belts, Roller Chains, Hose Clamps, Quick Disconnect Couplings, Lubricants, V Belt Pulleys, and much more.